Hi, I'm Roman; and this is Mike. It's Memorial Day Weekend and it's officially summer! Time to heat up the grill!! What CEOs Have Learned About Social Media - CEOs have come out of the social media cold and begun to embrace the medium, according to a study cited in the Harvard Business Review. 80% of the CEOs of the world’s largest 50 companies are now engaged online and with social media the study notes. And although a corporate website is still the main vehicle through which CEOs engage digitally, video is becoming the medium of choice for CEOs. Wireframes aren't dead: they're just changing - The death of wireframing has been greatly exaggerated. Wireframing has changed, however. It’s less about setting something in stone right out of the gate and more about exploring and inspiring a web design. Wireframes are become more lo-fi and visual but still should be used as more of a design sandbox with a nod to the reality of the online product. 5 Ways Your Content Marketing Needs To Grow Up - Having a strategy is paramount yet so few people do it. And if you are not focused on mobile - well - stop whatever you are focusing on and focus on mobile and how your content is consumed on mobile. Remember too that your content has a production lifecycle, it just doesn’t magically appear on a website. And that content should be storified rather than simply groan out a boring recitation of facts. The top 14 skills in the red hot market for marketing jobs - The number one skill is content creation and content marketing. The rest of the top skills include many analytical and technical skills like data analysis, coding and marketing technology. As a marketer, your knowledge must be wide and deep in an ever changing landscape. 4 Key Things We Just Learned About HubSpot - Lots of juicy items here from HubSpot’s focus on CRM and Sidekick to the ramp up of their technology integration efforts. What I really like is HubSpot’s continued focus on growing top agencies by offering them loans to attract the best talent. Be sure to take some time to relax and recharge with your loved ones this long weekend. 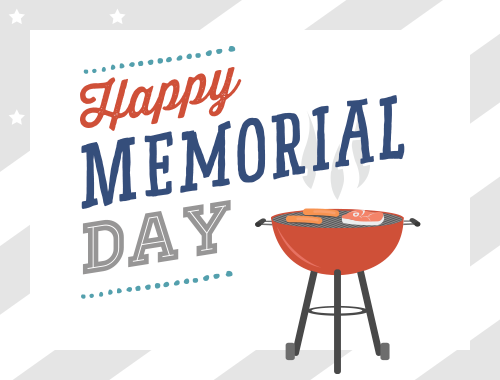 From all of us at LyntonWeb to all of you - Happy Memorial Day.